It’s simple to understand the appeal of having whiter teeth. We live in a time where people are always looking for a way to improve their appearance, and your smile is the first thing many notice. But until you understand the pros and cons of teeth whitening, it can be difficult to make an informed decision about whether or not to whiten, and the best way to go about it. The first place most people start on their quest for whiter teeth is the toothpaste aisle. 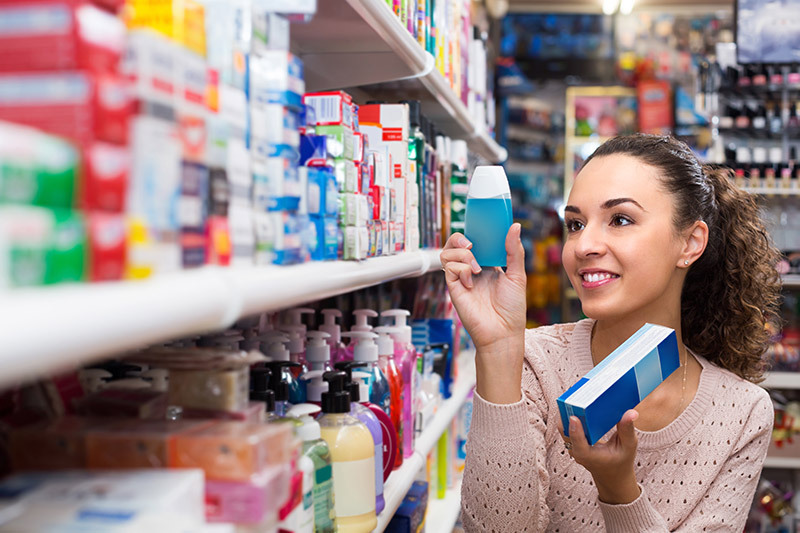 It can be difficult to find a toothpaste on the shelves that does not contain whitening ingredients. But are whitening toothpastes really good for your teeth? While whitening trays and strips work by soaking the teeth in bleaching agents, whitening toothpastes must work faster. They rely on abrasives, normally hydrated silica, to rid the teeth of surface stains. Unlike trays and strips that can bleach deep within a tooth, toothpastes can reach only the surface. Even toothpastes that also contain a bleaching agent just clean the surface, since the bleach does not stay on the teeth long enough to clean below the surface. Whitening toothpastes use abrasive particles to “scrub” the stains from your teeth, but the harshness of these particles can inadvertently remove significant amounts of enamel from the tooth’s surface. Most whitening toothpastes contain an unnecessarily high RDA, or relative dentin abrasivity. To measure a toothpaste’s abrasiveness, scientists use the RDA scale, with higher values indicating increasingly higher abrasiveness. Unfortunately, you probably won’t find that value listed on your toothpaste packaging, or even from their salespeople, because manufacturers rarely publicize those figures. More does not mean better. To many, the concept of whitening seems so straightforward: more means better. But if you’re loading your brush up with more whitening toothpaste, and brushing just a little harder, you are probably causing more damage than good. When you combine high-RDA paste with aggressive brushing and too much toothpaste, you start to remove enamel, which reveals the dentin. This part of the tooth is naturally darker than enamel, so when patients start to notice shades of yellow or gray, they compensate by brushing even more aggressively. A more effective form of whitening is the use of high potency whitening gels, but even this method has challenges. The bleaching agent used in whitening gels, hydrogen peroxide, is most effective when it has been refrigerated from the point of manufacturing to application, so many over the counter trays and strips can lose effectiveness on the shelf. In addition, optimal whitening with trays occurs with a precise tray fit, so that saliva is prevented from interfering with and breaking down the peroxide. A whitening tray design that prevents loss of whitening gel from whitening trays, and at the same time prevents damaging saliva from entering the whitening tray, will result in a much longer duration of whitening activity. The whitening trays and gels we use in our practice can provide 6+ continuous hours of active “oxygenation” removal of stains from within the microstructure of teeth, resulting in rejuvenation of tooth structure and a whiter smile. We started using the KOR Whitening System because it was first whitening system that understood the science of whitening teeth. The system is based on precise fitting trays and highly active whitening gel. What makes it different is that the gel does not use chemical stabilizers. To whiten teeth the whitening gel must be reactive at room temperature. KOR gel is manufactured and shipped refrigerated to stabilize the gel. When the gel is placed in the trays and warms it becomes highly active! Because of this KOR can whiten stains that were previously thought to be difficult to impossible; for example, tetracycline staining. For more information about our whitening services, visit our cosmetic whitening page, and then call to schedule a consultation.